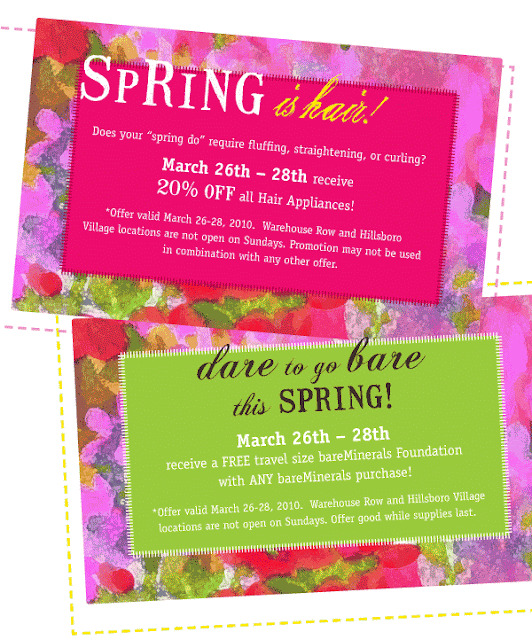 Here are a few more special offers and events for you this weekend! Rebecca Taylor's Spring collection is flirty, modern and fun. 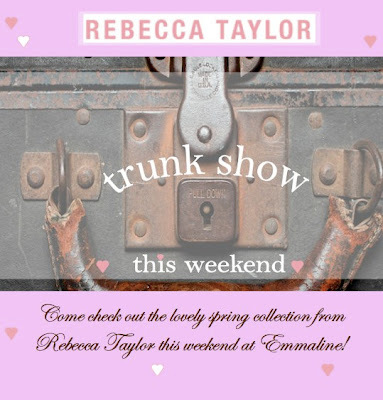 Check it out for yourself this weekend at Emmaline's in Franklin. This is the last few days of Diamond Star Halo Vintage's booth at the GasLamp Antique Mall in Berry Hill. After five years at GasLamp, Libby Callaway has decided to close up shop here and spend more time selling from her East Nashville location inside Fanny's House of Music (and host of Fanny's Frocks V! this Sunday!). This means everything in the Gas Lamp booth is super on sale. 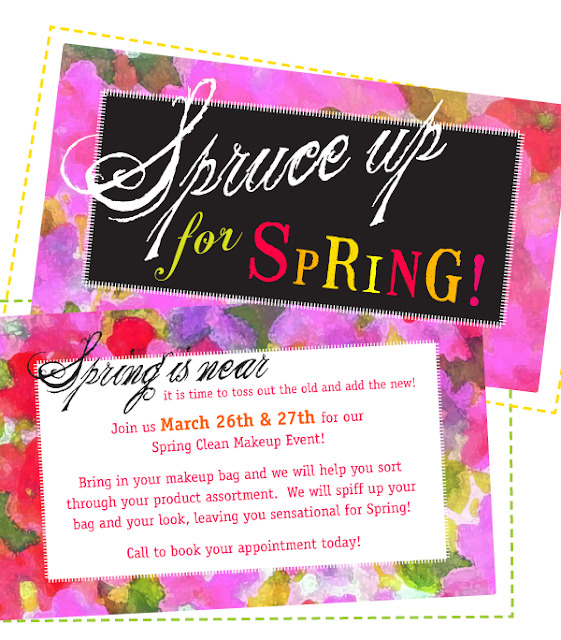 50% off through March 27, and then are you ready...90% off the last four days of March. You know Libby's selection is always amazing, so you don't want to miss this one! Gas Lamp Antique Mall is located at 100 Powell Ave in the Staples Bldg in Berry Hill. Hours are Monday-Saturday, 10am-6pm and Sunday, Noon-6pm. Are you on the Stella mailing list? If not, join now so you can take advantage of the special whats-in-store coupon that's valid in-store or online through March 31! Over the next few weeks, you're going to see a lot more posts about these two events. We're very proud to be sponsors of Fusion 10 and Naked Without Us and we'll be profiling them during April. Tickets for both events are on sale already, so buy your tickets now! The Naked Without Us Fashion and Music Festival is scheduled for April 19-24 all around Nashville. What you're really going to want for this event is an All Access Pass and you can purchase those now at Grimey's! Stay tuned to Stella. We'll have designer profiles and more event details for you starting next week. And mark your calendar for Friday, April 23 because from 5pm-8pm, you're going to want to be on the Stella Shops Boutique Crawl!